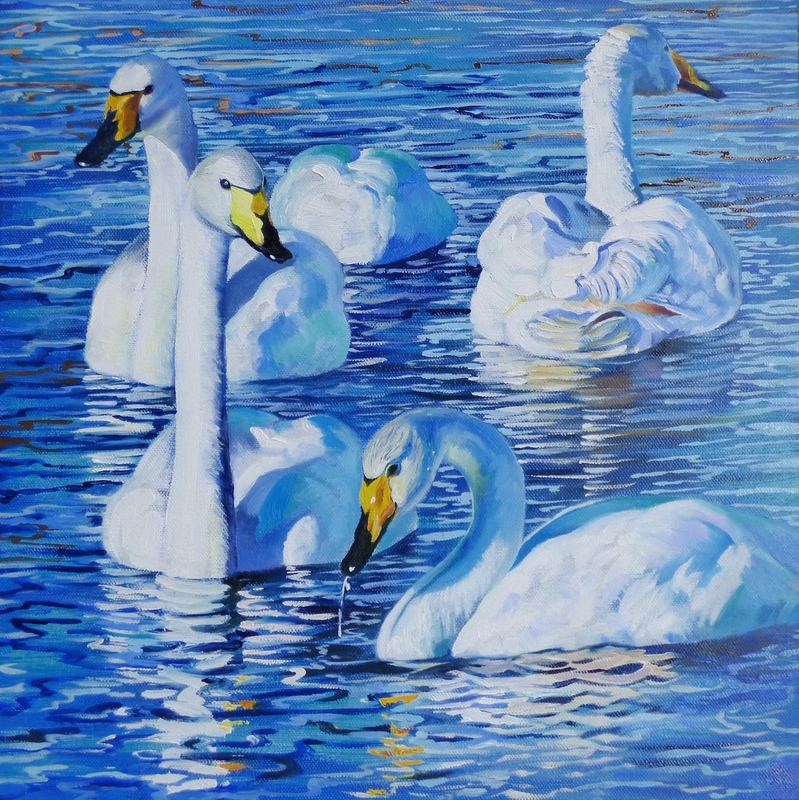 Just finished, four large – for me – bird paintings, based on my observations of the local bird life. Prices and any other information on request – please email me for details on my contact page or by my facebook account if you’d like to know more. 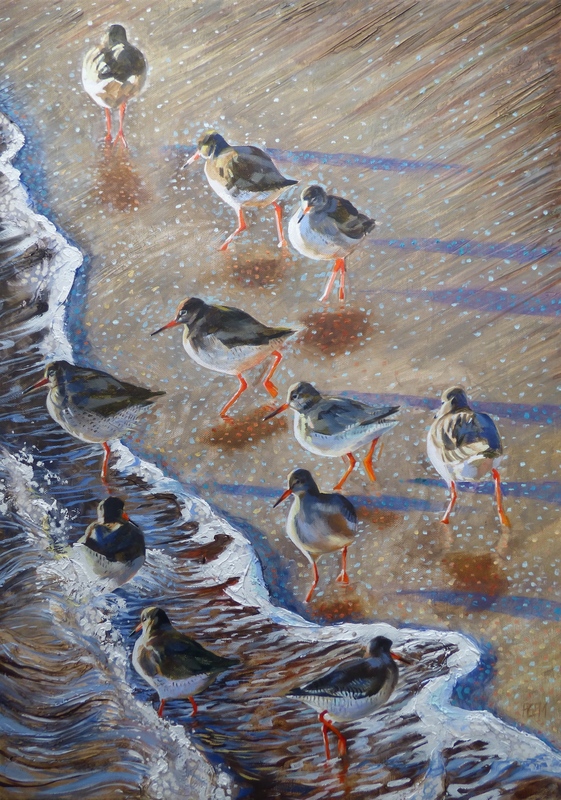 Redshank Running Red Legs, unframed 70 x 50cm, oil and mixed media on canvas. I was fascinated to see what looked like two shadows on the beach when I watched a flock of redshank on Crail Harbour Beach. Then I realised one was a reflection on the wet sand. Castle Walk View with Fulmars, Crail, 92 x 61cm, oil on canvas, This is my almost daily winter’s view on our walk around the town, down to the harbour with a low sun and Bass Rock way off in the distance. The fulmars come and go all year. 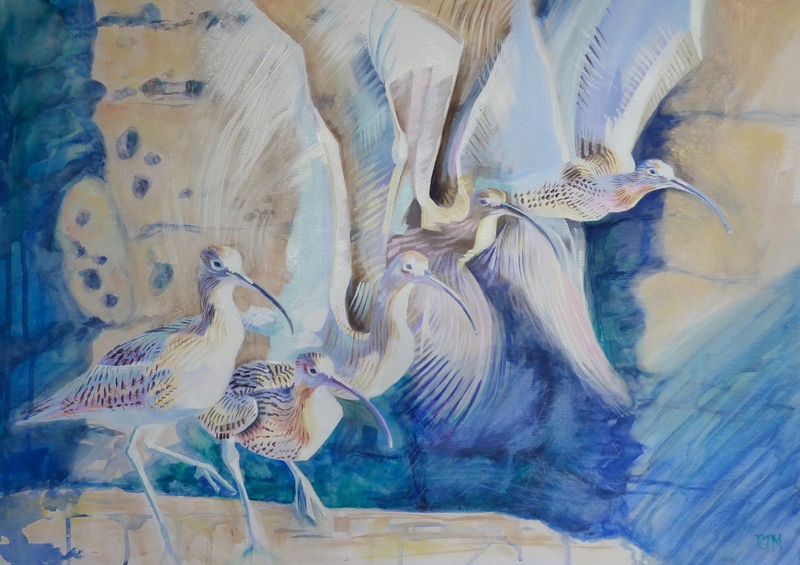 Curlew Take Off, 50 x 70cm, oil on canvas. Using a slowed down film I took of a local curlew, I was interested to see what they do when they take flight. Just like a human when they jump, it bobbed down before springing upwards. 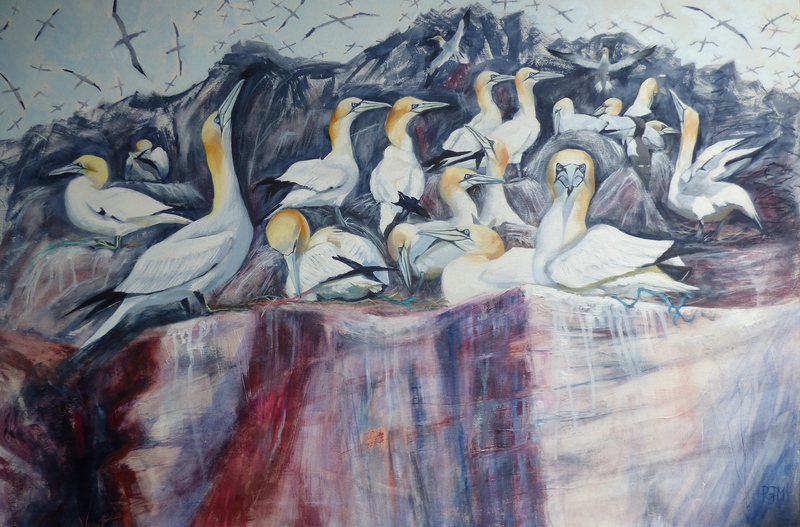 Gannet Colony, 92 x 61cm oil and mixed media. 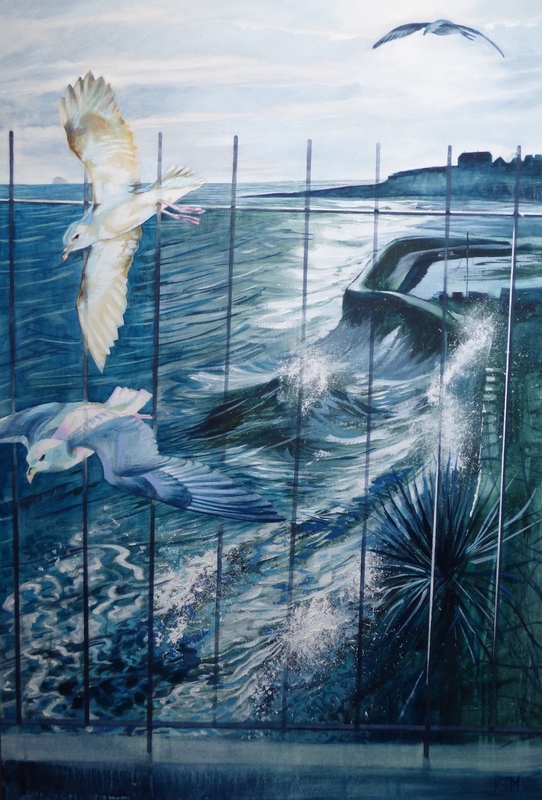 Based on the experience of being eye to eye with the gannetry on Bass Rock, when the birds were nesting, using natural and found materials, which I have included in the painting. Towards Kilrenny Kirk. 20 x 20cm, oil on canvas. 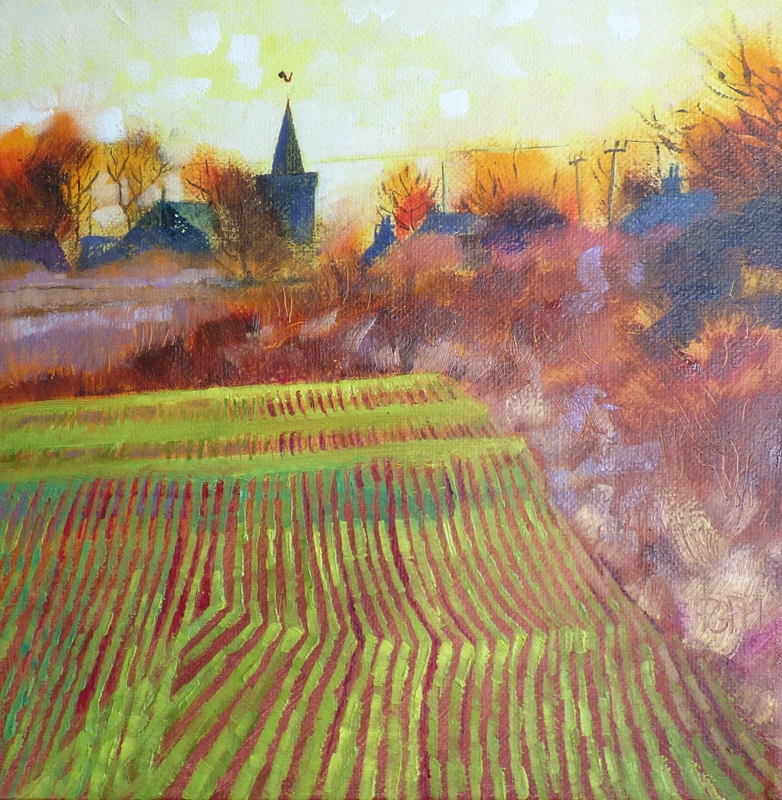 based on a sunset observed over a field of winter wheat, on the Eastt Neuk coast. 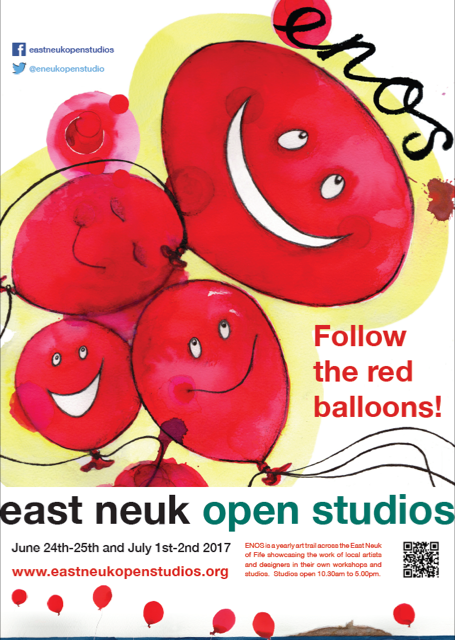 I’m very pleased and excited to be exhibiting at the Pittenweem Art Festival in the lovely harbour town in Fife this year for the first time. Opening night is 4th August and it runs for nine days until 13th. If you haven’t been before, check out the website below to see what it is all about – well worth a visit. Less than 1 week to go! 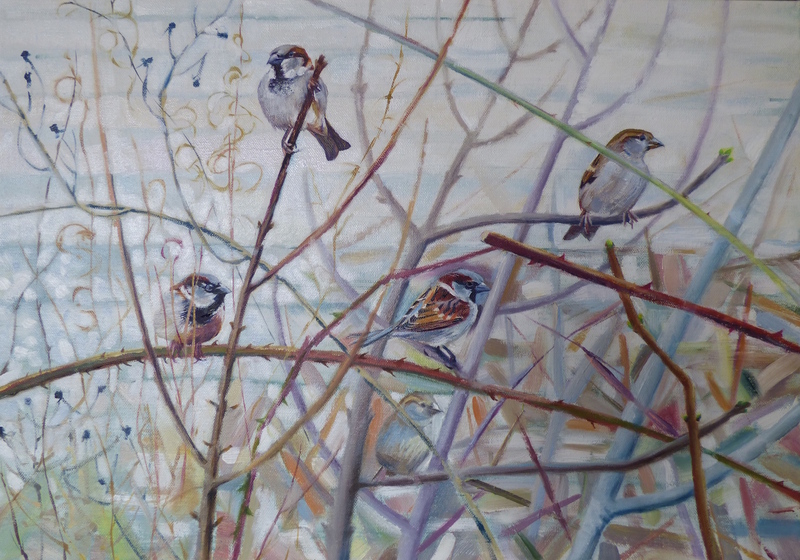 During the winter this little flock of sparrows spent a lot of time in the bramble bushes and scrub at the top of the cliff above the local beach, with the backdrop of the bright sea. 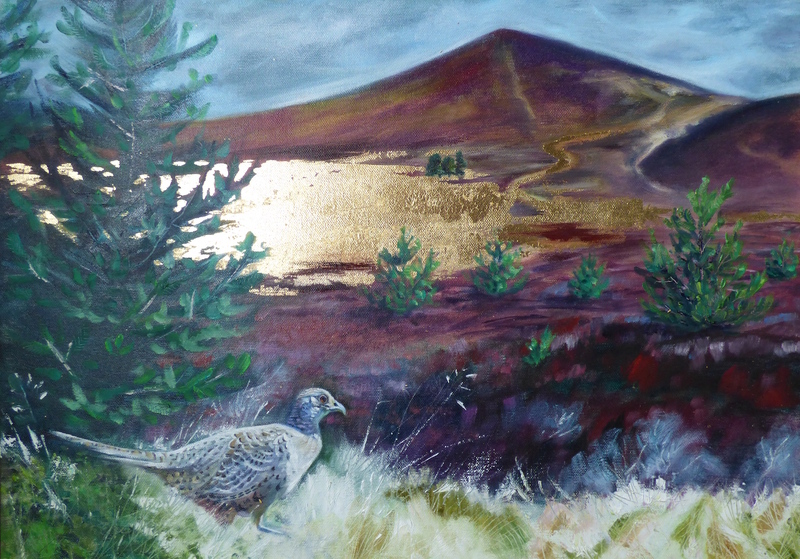 The exhibition of artwork resulting from my Artist in Residency at the Highland Wildlife Park, near Kincraig, has now ended. 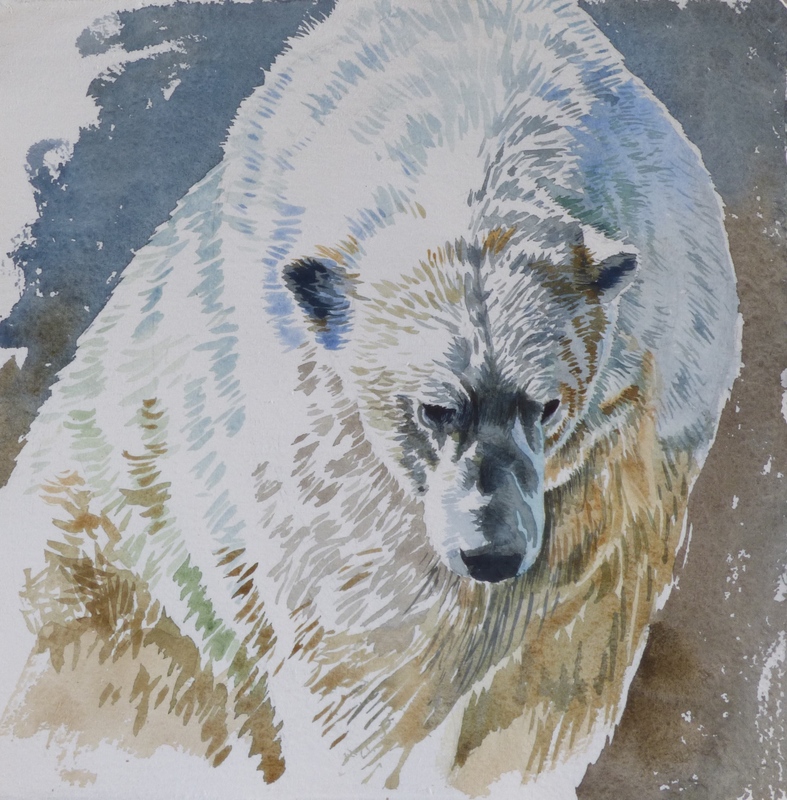 It was a very enjoyable experience for me and I have now sold six of the pictures. The remaining artwork is still for sale if you would like to get in contact with me. A big thank you to the staff who were very helpful during the residency. Two paintings recently finished. Both are of local views and experiences in the Cairngorms. The female pheasant I saw regularly on my way to work, and on one day, the sun was shining on the dry dead grass turning it into a golden streak across the moor. The five whooper swans were swimming as part of a wintering flock on a wee lochan near Boat of Garten. For more details, please see my gallery of work page. 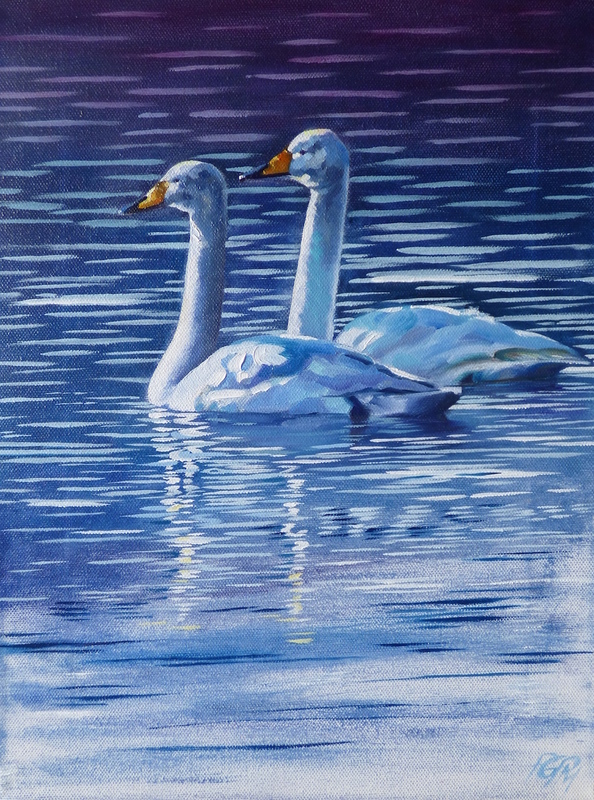 A Pair of Whoopers, oil on canvas, 31cm x 41cm.